молекулярная эволюция, радикальные и консервативные замены аминокислот, система клиент-сервер. 1. Drummond D.A., Wilke C.O. Mistranslation-induced protein misfolding as a dominant constraint on coding-sequ¬ence evolution // Cell. 2008. Vol. 134. N 2. P. 341—352. 2. Huang Y., Koonin E.V., Lipman D.J., Przytycka T.M. Selection for minimization of translational frameshifting errors as a factor in the evolution of codon usage // Nucleic Acids Res. 2009. Vol. 37. N 20. P. 6799—6810. 3. Zhang J. Rates of conservative and radical nonsynony- mous nucleotide substitutions in mammalian nuclear genes // J. Mol. Evol. 2000. Vol. 50. N 1. P. 56—68. 4. Pupko T., Sharan R., Hasegawa M., Shamir R., Gra- ur D. Detecting excess radical replacements in phylogenetic trees // Gene. 2003. Vol. 319. P. 127—135. 5. Woolley S., Johnson J., Smith M.J., Crandall K.A., McClellan D.A. TreeSAAP: selection on amino acid proper¬ties using phylogenetic trees // Bioinformatics. 2003. Vol. 19. N 5. P. 671—672. 6. Henikoff S., Henikoff J.G. Amino acid substitution matrices from protein blocks // Proc. Natl. Acad. Sci. U.S.A. 1992. Vol. 89. N 22. P. 10915—10919. 7. Kawashima S., Pokarowski P., Pokarowska M., Kolins- ki A., Katayama T., Kanehisa M. AAindex: amino acid index database, progress report 2008 // Nucleic Acids Res. 2008. Vol. 36. Database issue. P. D202—D205. 8. Fletcher W., Yang Z. INDELible: a flexible simulator of biological sequence evolution // Mol. Biol. Evol. 2009. Vol. 26. N 8. P. 1879—1888. 9. 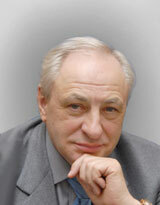 Gunbin K.V., Afonnikov D.A., Kolchanov N.A. Molecular evolution of the hyperthermophilic archaea of the Pyro- coccus genus: analysis of adaptation to different environmental conditions // BMC Genomics. 2009. Vol. 10. P. 639. 10. Messier W., Stewart C.B. Episodic adaptive evolution of primate lysozymes // Nature. 1997. Vol. 385. N 6612. P. 151—154.